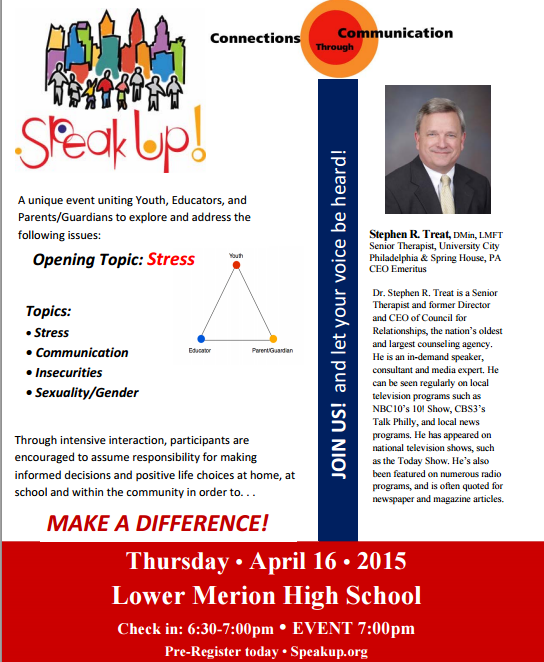 High School parents — LMHS is running a wonderful evening event for parents and high school students on April 16th. SpeakUp is a unique event uniting Youth, Educators, and Parents/Guardians to explore and address the following issues: Stress, Communication, Insecurities, and Sexuality/Gender. The guest speaker will be Dr. Stephen R. Treat. Dr. Treat is a Senior Therapist and former Director and CEO of Council for Relationships, the nation’s oldest and largest counseling agency. He is an in-demand speaker, consultant and media expert. 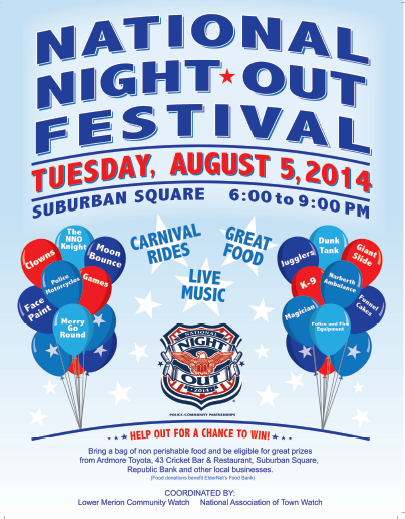 He can be seen regularly on local television programs such as NBC10’s 10! Show, CBS3’s Talk Philly, and local news programs. He’s also been featured on numerous radio programs, and is often quoted for newspaper and magazine articles. This event is intended for all high schools (youth, educators and parents)! Register online (speakup.org) or check in and register on site at 6:30 pm on 4/16. The night ends at 8:30PM.